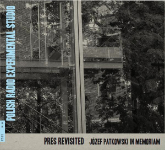 i was involved in the project creating graphic scores of several pieces of Polish early electronic music to be performed acoustically by contemporary musicians. the result is just stunning! i recommend it both as a documentation of a groundbreaking project, as well as a compilation of exceptional music! it’s really HOT! Can there be other sense behind this scheme?